The view from the shore. 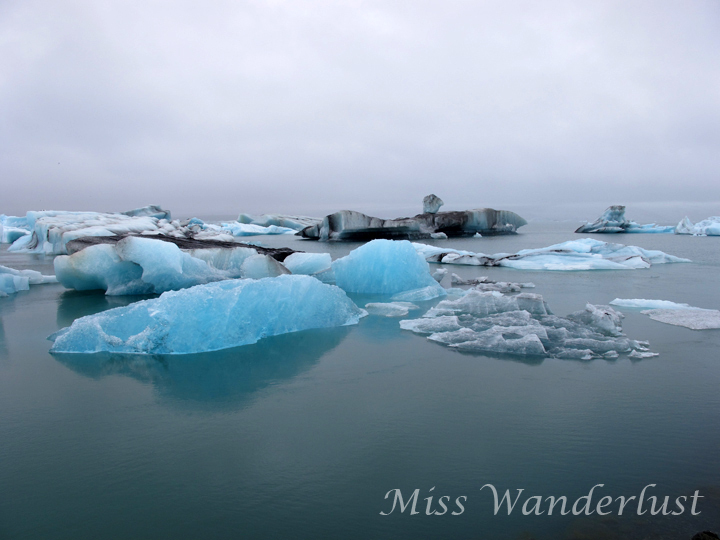 The next big stop on our Iceland road trip was the Jökulsárlón glacial lagoon, in southeast Iceland, just off of Route One between Höfn and Skaftafell. Even though you can still have a fantastic visit without leaving the shore, we really wanted to immerse ourselves in it, so we had booked a Zodiac boat ride long before we left home. Our ride was booked for 16:30, but we couldn’t contain our excitement and arrived at the lagoon at 15:00. You can start to see some icebergs while you’re still driving on the road. I was practically jumping out of my seat with excitement as soon as I saw them. Even the view from the parking lot is incredible.